Absolutely loved the customer service Nick has provided. He was very knowledgeable and helpful when it came to helping my family and I find a new home. He makes sure he pinpoints everything your looking for in a new home and weighs out the pros and cons to narrow down the selection. I would definitely recommend him to any and everyone. Thanks again, Nick! Looking to buy, sell, or invest in real estate? Hi I’m Nicholas Lara. My team and I have over 30 years of combined experience in the South Florida market. Have a question? 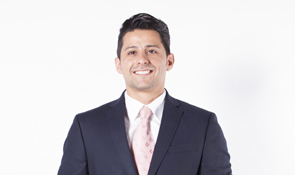 Nicholas is one of the top producing real estate agents in Miami. A Florida native turned real estate expert. Nicholas, is not only a real estate agent, but also a loan originator, and investor. He understands both sides of a deal and can ensure you get the the highest level of experience you deserve. He’s been able to help dozens of people find one of a kind deals in the neighborhoods they love. His passion for making the process an educating one is why his clients continue to return and recommend him.